Heartburn and reflux affects approximately one in five people in the western world. That’s fairly common knowledge. About the same number of people is affected by it at least once a week. If this is you, then there is probably not a lot to worry about. However, if heartburn and reflux become a factor in your life on at least two occasions a week and you haven’t been to see a health physician yet, then what are you waiting for? Heartburn is described as a burning sensation that rises up through the lower chest and to the throat. Depending on its severity, it could last for several hours. On the other hand, reflux occurs when the acid in your stomach rises up into the esophagus causing a lot of discomfort and in many cases, people have difficulty swallowing accompanied by excessive regurgitation. Experiencing these symptoms at least twice a week should ring the alarm bells. Left untreated, there is a chance that it could cause further complications leading to other health related problems. Quite often people will suffer through these symptoms unnecessarily when a visit to the doctor would be all that’s required. Proper management of heartburn and reflux in most cases will not only alleviate the uncomfortable and sometimes painful symptoms associated with it’s occurrence but improve significantly a person’s quality of life. Management can include making some lifestyle changes combined with dietary adjustments. Quitting smoking is a good starting point as smoking and heartburn usually don’t mix. If stress is a constant in your life then you need to find ways of reducing it and while this could mean a drastic re-think of your current lifestyle practices, give it serious consideration. If you are overweight then consider losing some of those extra pounds. Fitting into your clothes more comfortably will be an obvious advantage of losing weight but did you know that tight fitting clothing, especially around the waistline, is a no no for heartburn sufferers? While it’s true that chronic heartburn and reflux sufferers will suffer symptoms despite what they eat: this is usually because of further deep-rooted medical problems; there are certain foods that can aggravate heartburn and reflux symptoms in many people. One of the advantages of reviewing your situation with your doctor is that these foods can be identified and a plan can then be put into place to either avoid them completely or limit the number of times they are consumed. 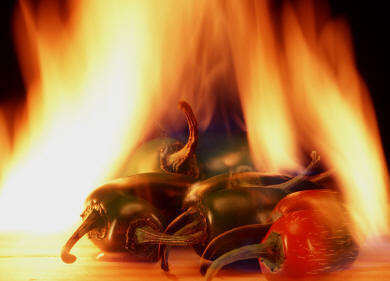 Some people will suffer a heartburn or reflux attack by simply looking at some types of food. Some of these include spicy and fatty foods, alcohol and in some cases, coffee. There is also strong evidence supporting the fact that consuming food several hours before “hitting the pillow” should be avoided at all costs.